Visit the Amy Howard Collection to peruse our hand-crafted reproductions of 18th and 19th century French and Italian furniture. I knew when we decided to build again that I wanted to have a formal english garden. I love using antique garden benches, urns and statues inside as well as outside the home. 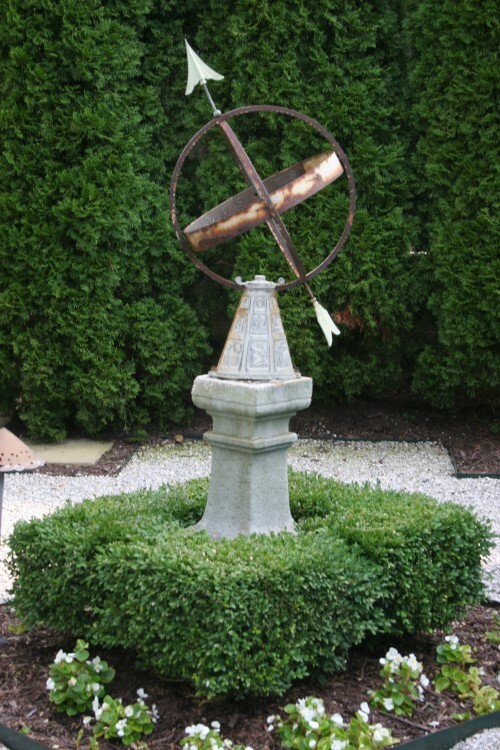 Here is a wonderful armillary that we purchased years ago and stored until it was time to use it in our garden. Each area of my back yard has a focal point of ornamentation. 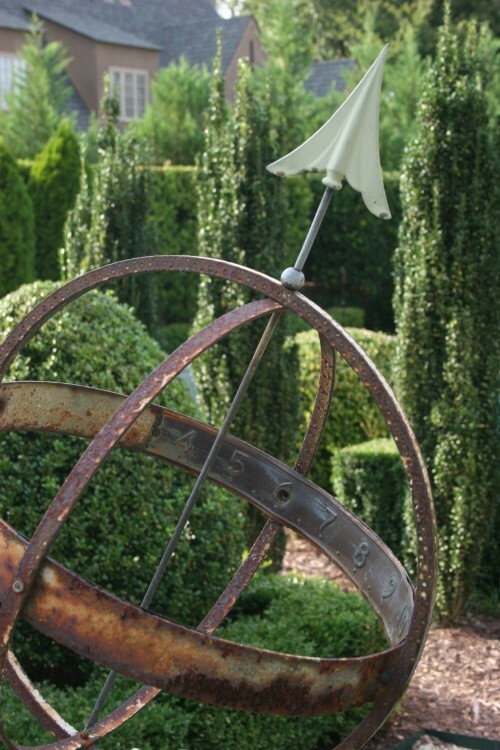 Armillaries are these wonderful celestial globes that consist of metal hoops. They are a great marriage of science and art. They played a practical as well as decorative role in greek civilization 2 millenniums ago. ©2009 Amy Howard. All rights reserved. Designed by Megan Cummins.